Iranwire-06 April 2016: If Golroo is alive, she could be 33 now. 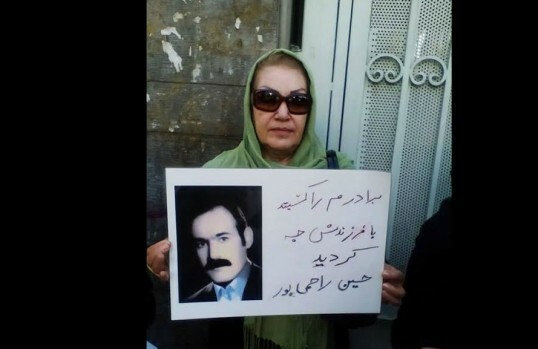 For the past 33 years, the Rahemipour family have done whatever they can to find news about her, a baby born in March 1984 at Evin Prison. But her fate remains unknown. In September 1983, Golroo’s parents were arrested at their home. Her father, Hossein Rahemipour, was a member of the Marxist Workers’ Way party. Her mother, who was pregnant, worked for the Social Security Organization. The couple was sent to Evin Prison. The following March, as the Iranian New Year approached, their families sent them baby clothes. Golroo’s mother called them a few days later to say that the baby had been born. She told them she had named her Golroo. Golroo’s mother asked prison officials to give the baby to her family or her in-laws so that she could grow up outside prison, but the officials refused. During Iranian New Year’s holidays, prison officials took her baby away. The baby is not sick, but they told her mother they were taking her to a clinic “for the usual tests.” Golroo never came back. No matter how much her mother pursued the matter, the agents always gave her the same answer: “The baby died.” There was no body and no grave. The parents’ families tried in vain to find out what had happened. The families were still grieving for Golroo when the prison officials called Hossein Rahemipour’s family and told them to come and get his things because he had been executed or “dispatched to hell,” as they put it. His family received only a bag. They provided no information about the baby, not even about a grave. Some time later, Golroo’s mother, who was suffering from mental anguish and a very serious heart condition, was released. 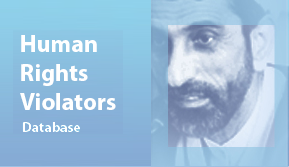 Justice for Iran, a non-governmental human rights organization, has filed a complaint with the UN’s Working Group on Enforced or Involuntary Disappearances (WGEID) and has asked “the international community and UN WGEID to investigate this matter and similar cases of abduction, and to launch a prompt and impartial investigation to identify those responsible in order to bring them to justice.” It has also called on the Iranian people to sign a petition demanding that the information about Hossein and his daughter be released. I talked to Mohammad Nayeri, a lawyer with Justice for Iran, who has been working on this case. They told Golroo’s mother that the baby had died, but no matter how much she begged, they neither showed her the body nor told her where the baby had been buried. During the executions of the 1980s, it was customary not to deliver the body or to identify the grave. But this was a baby, and if she really had died, they could have delivered the body or told the family about the grave. But because they did neither, we have no idea whether the baby died or not. The father also falls into the forced disappearances category because, according to international law, “forced disappearance” applies to any individual who has been arrested or abducted by government forces, or by forces affiliated with the government, and whose fate or whereabouts is concealed in such a way that he is no longer under the protection of the law. What must be disclosed about his fate are details of his arrest, what took place during his detention, the details and the conditions of the trial, the events leading to his death and, if death is claimed, where he has been buried. If these details remain unknown, and the individual’s family had only been informed verbally about his execution, then he is considered a person who has been forcibly disappeared. Can the ruling on the complaint be enforced? The Iranian government has not signed the International Convention for the Protection of All Persons from Enforced Disappearance and does not accept the jurisdiction of the Committee on Enforced Disappearances (CED). If Iran had signed the convention then the committee would have had the authority to ensure the observance of the convention, and could have filed a formal complaint. But the UN Working Group on Enforced or Involuntary Disappearances is different. The function of this working group is similar to that of the committee and is authorized to investigate. But the difference is that with this working group, it is not about condemning or punishing the Iranian government. The nature of its work is only humanitarian, and it only wants to find out the fate and the conditions of forcibly disappeared persons. Then what is the use of this complaint? The complaint would cost the Iranian government politically because it would attract publicity. 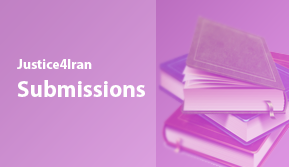 The Iranian government does not recognize any UN mechanism that is authorized to enforce rulings. Right now the United Nations has a list of 518 individuals who have been involuntarily disappeared in the Islamic Republic, but whose fate the Iranian government refuses to disclose. Has the Iranian government provided an answer in any of the cases? Yes. Just one year ago we filed a complaint and they responded by saying that the individual in question had been arrested by their agents, had been sentenced to death, had been executed on such-and-such date, and had been buried at such-and-such a place. Until then, the family of that individual had not received any of that information, but it was clearly conveyed to the UN by the Iranian government. But in many cases, they claim ignorance or deny a disappearance altogether. One example is Saeed Zeinali [an Iranian student who was arrested after widespread student protests in 1999]. His name has been registered by the working group, but the prosecutor denies that he knows anything about Zeinali’s arrest or his fate. What happens to the cases in which there are no answers from the Iranian government, or in which disappearances are denied by the government? WGEID meets three times each year. It sends its lists to various governments, and if it is not satisfied by their answers, the names are kept on the list and they are sent again. It is the government’s duty to provide an answer. Do you believe there is a way to prevent forced disappearances? There are bylaws in the [Iranian] penal code for arrests and detentions. For example, the agents who intend to arrest an individual must have a warrant and must be authorized bailiffs of the judiciary. The arrested individual must be informed of his charges within 24 hours and must have access to a lawyer. These laws are meant to guarantee that the individual will not disappear. But until these laws are enforced there is no way to prevent forced disappearances. The sad part is that when an individual disappears in this way, there is more than one victim. The first victim is the person who has been illegally arrested, tortured or executed. But the other victims are the families who spend years in a state of uncertainty because they have no knowledge of what has happened. Sometimes a spouse, the parents or the children of the disappeared person, must spend years without knowing what has happened to their loved one.